The Santa Monica native similarly stumbled upon his career path. “College wasn’t an option for me,” he says. “I needed to work right away to support myself.” He enrolled in an optician program at the old downtown campus of L.A. City College. 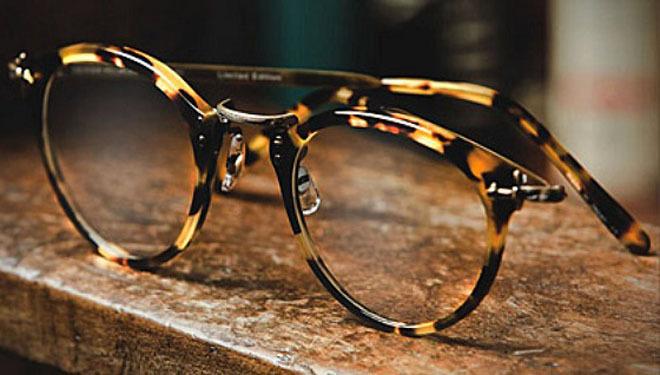 He then worked in a lab, cutting and shaping lenses, and later as a salesman and buyer for a high-end optical boutique. “As a buyer, I learned why companies were making certain styles,” says Leight, “and as a salesman, I knew what kinds sold. And those two didn’t always match up.” With his own line Leight bridges the gap, embracing the spectacled icons of the past and giving them a modern twist.